April Fools’ Day is Joey Skaggs’ favorite holiday. 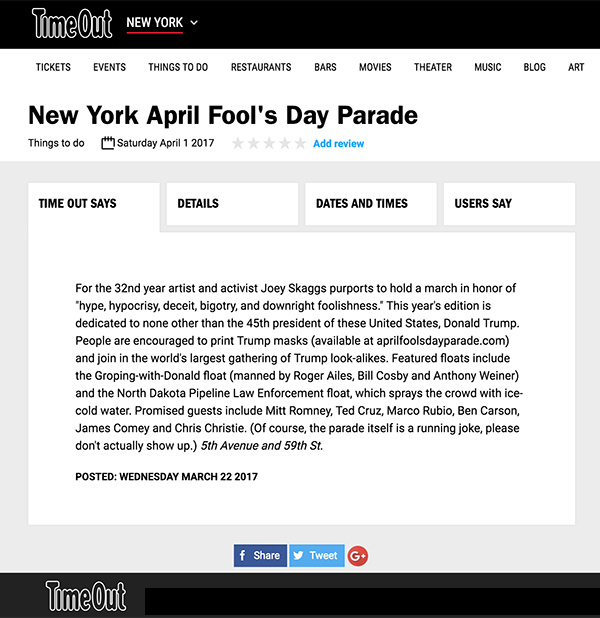 Every year since 1986, to commemorate and celebrate the folly of mankind, he has organized New York City’s Annual April Fools’ Day Parade. Over the years, the parade has grown in stature and has now joined the ranks of beloved New York parades. 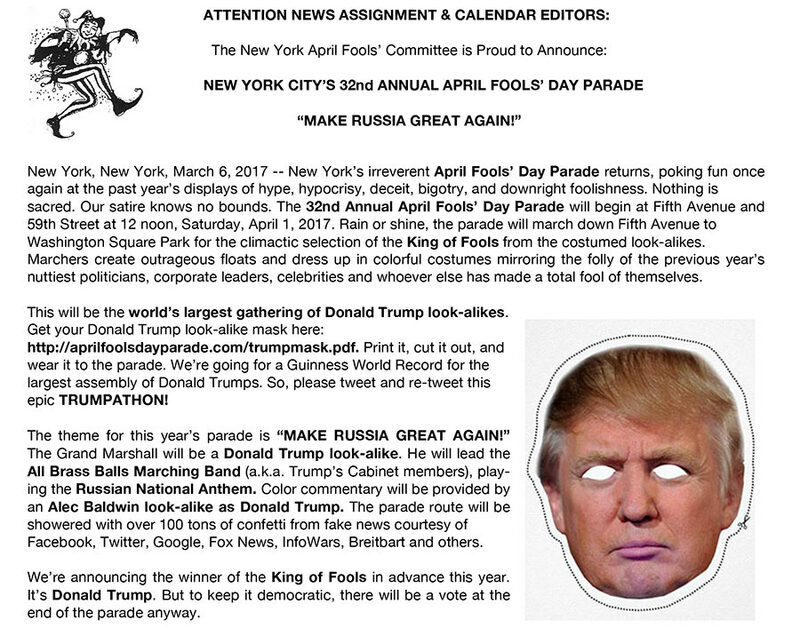 Each year, he sends out a satirical press release describing outrageous and incendiary floats, celebrity look-alikes, marching bands, and other spectacles featuring public figures who have made merciless fools of themselves over the course of the year. 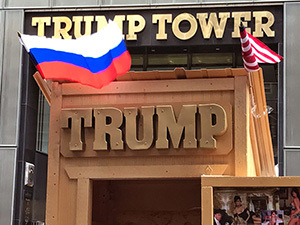 The parade kicks off at 59th Street and 5th Avenue in New York City and marches down to Washington Square Park where the annual King or Queen of Fools is selected by the loudest cheers of the crowd. This is followed by a wild celebration with sponsored booths, bands and food. Unlike other years when the parades have attracted major media coverage but have basically been a figment of Joey’s imagination, in 2017, there actually was a parade. It was a Trumpathon! Of course, after 32 years of being hoodwinked by Skaggs, nobody believed him. He had become “the boy who cried wolf”. 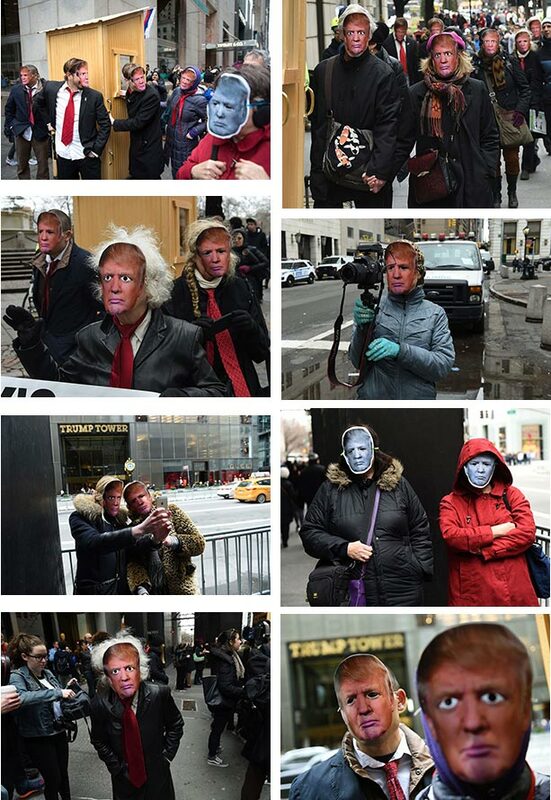 But, not to be second-guessed, Joey, with the help of several dozen co-conspirators wearing Trump masks, marched down Fifth Avenue to Trump Tower at 57th Street pulling a golden out-house on wheels. A Trump mannequin sat on the throne, texting on his cell phone. An exuberant mass of journalists marched with the parade to document the event. Donald Trump was unanimously selected as this year’s King of Fools. Photos from Getty appeared on Yahoo News and went viral. Articles then appeared in the U.S., UK, Canada, France, Israel, India, Asia, Latin America, Middle East, Africa, and the Philippines. 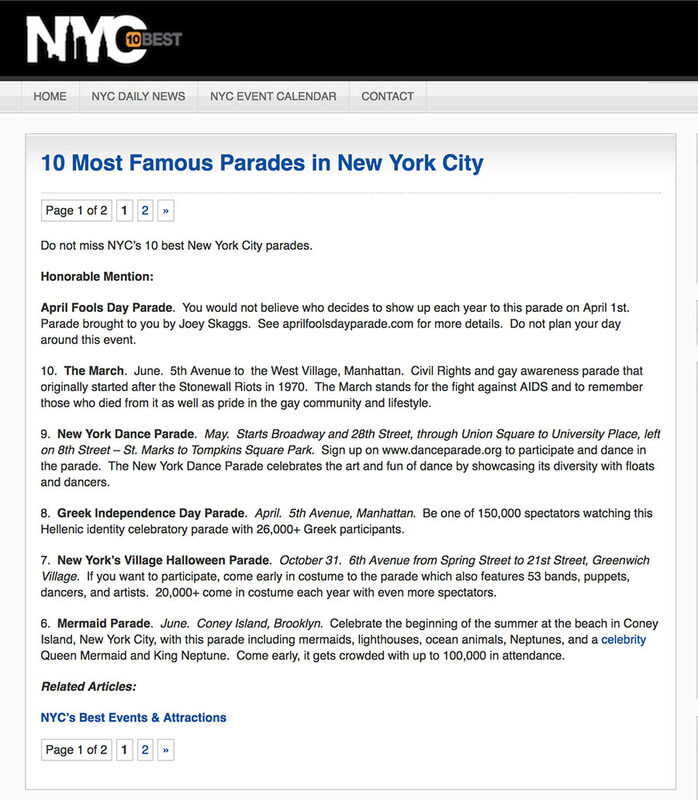 In many cases, parade images were used for articles about Trump’s day or week or life (as in New York magazine and the Los Angeles Times). 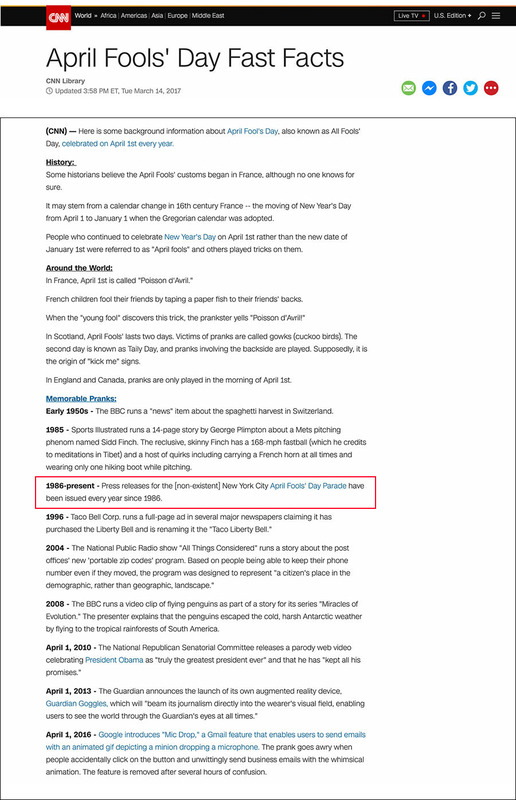 TV coverage included France, Japan, and others.